Solar water heaters have been around for a while, but as of late are becoming very popular. Efficiency of electrical backup is increasing, as well, which makes this choice for many people much more attractive. The Westinghouse iQ Drive® Air Conditioning System is rated at up to 24.5 Seer. 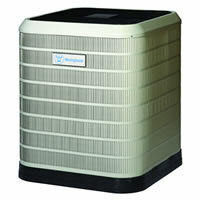 It features a fully variable speed compressor with both indoor and outdoor variable speed motors. The system will provide variable cooling capacity, when called upon, modulating over a 5 degree F° temperature range. The system operates near the high end rated capacity at the thermostat set point and modulates capacity as the temperature difference between thermostat set point and the room temperature changes. The system is capable of running at an elevated capacity (18%) to provide rapid cooling. The Westinghouse iQ system also has built-in humidity control that will control your humidifier. Blower output will be reduced if indoor relative humidity is greater than set point. "The Westinghouse iQ Drive Comfort System, like all central standard air conditioning systems, has three major components. The outdoor component (the iQ Drive air conditioner or heat pump) works with the indoor component (the iQ Drive air handler or iQ Drive furnace/coil) to circulate cool air throughout the home. The third component, the iQ Drive temperature controller, allows you to manage total indoor comfort. This entire system is designed to deliver better efficiency, improved air quality and more reliable comfort for years to come." 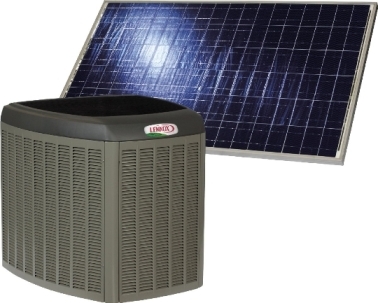 The first integrated solar-assisted residential heating and cooling system. 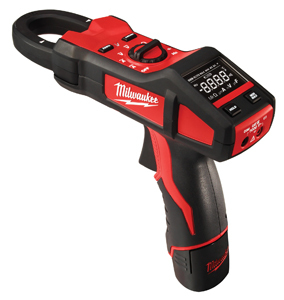 This month's product review was found at Hoffmann Bros.
Milwaukee Electric Tool Corporation has expanded its lithium-ion system with a new M12 Cordless Clamp-Gun Clamp Meter. The two models are designed with feature sets specifically tailored to the electrician and HVAC/R technician. The new tools include a large, high contrast white-on-black display and extra bright LED flood lights as well as a unique ergonomic pistol grip design. The improvement increases comfort and ease of use in overhead applications by aligning the jaws and display to the user's line of sight. The units also provide a wide 1.57-inch jaw opening to handle wire bundles, a thin jaw profile for access to tight spaces and embedded non-contact voltage detection.